Cycling/Alpine High-contrast brown photochromic lenses. The multilayer blue-green mirror reduces dazzle in high luminosity conditions. 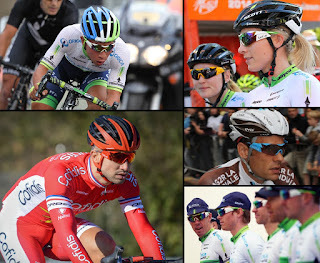 The Bolle 6th Sense can often be seen worn by the riders of AG2R-La Mondiale and Orica-GreenEDGE. 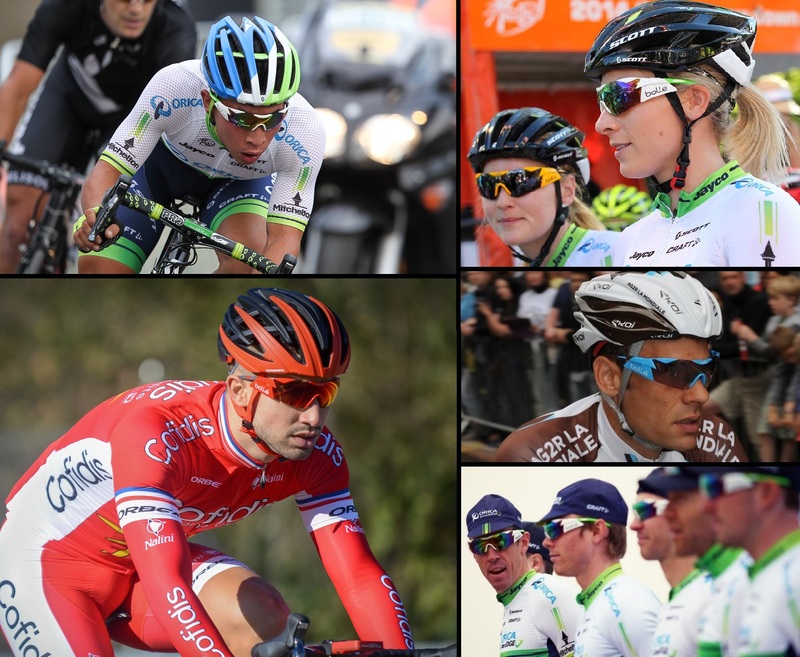 These are specifically designed cycling sunglasses, with an extra large vertical field of view to maximise breadth of vision and help riders spot finer detail in the road surface – perfect for tricky descents and riding at pace! The ultra-flexible and lightweight frame makes for an effortlessly comfortable fit, and lens ventilation ensures you won’t get misting even during the greatest exertion.